• You can customise your seat size soft or frim, leg length and the shape of your back. Lift chairs come in a variety of sizes to suit every individual – small, medium & large. 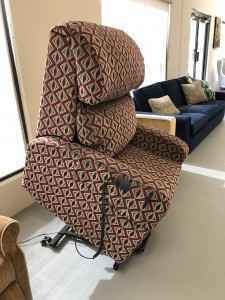 No need to compromise comfort and safety; these electric lift chairs are easy to use and feature a safety battery backup and range of designs to suit all decors. 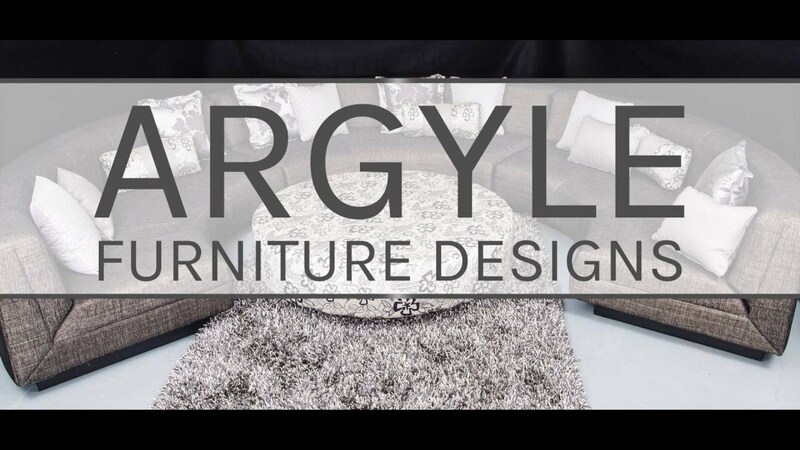 Visit our Perth showroom today to browse and try one out! 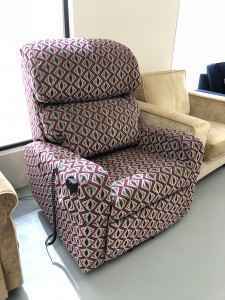 If you decide to buy an electric lift chair with us, we offer a free delivery. Enjoy sitting back with your feet up and relaxing. 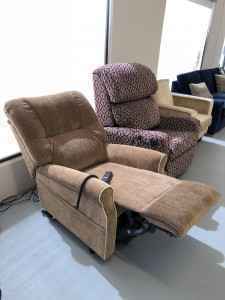 Our electric recliner and lift chairs can increase your pleasure and independence. Use the remote control lift function to get in and out of your chair with ease. Then elevate your feet and choose the most comfortable recline position. Now relax! 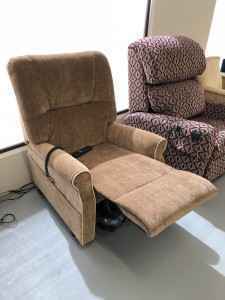 Also manually operated lever recliners are also available. 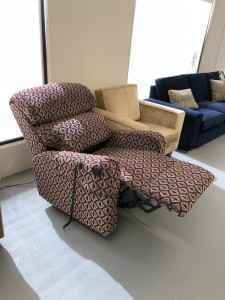 We specialise in Custom Recliners, made in Perth WA.The quality, comfort and style of these models is superb. Steel base, wooden frames, plus top quality motors, foam and fabrics. Your choice can be made of one or 2 motor versions. One motor will work in sequence; tilt for access, then raise your feet and allow back angle choice. Two motors allows feet and back position to be adjusted independently. Finally choose Leather, Fabric, Vinyl and colour.